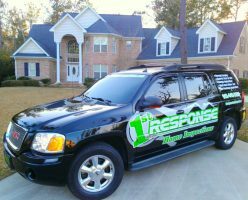 Mold Inspection & Testing | "Professionally Responding To Your Home Inspection Needs"
If you are concerned about mold growth negatively impacting your indoor air quality, you have come to the right place. We can preform the mold inspection and testing at the time of the home inspection or on a separate appointment. We use state of the art technology like thermal imaging cameras and moisture meters to find the best spots to test. Our inspectors then collect air/surface samples to determine what species of mold are present in your air. This is the only precise way to determine what is going on with your indoor air quality. If there is a problem in with fungal growth in your home or business, the expert inspectors will l find the problem and identify the source. The air samples will be collected and sent to a AIHA accredited laboratory for testing and the results will be provided within three(3) business days. The mold inspection and testing can be conducted during your home inspection for a additional fee of $225 for homes up to 2000sqft. Mold spores waft through the air continually and when mold spores land on a damp spot indoors, they may begin growing and digesting whatever they are growing on in order to survive. Mold can grow on wood, paper, carpet, and foods. When excessive moisture or water accumulates indoors, mold growth will often occur, particularly if the moisture problem remains undiscovered or un-addressed. There is no practical way to eliminate all mold and mold spores in the indoor environment; the way to control indoor mold growth is to control moisture. Mold Inspection and Home Inspection for Savannah, Richmond Hill, Pooler, Hinesville, Ludowici, Garden City, Rincon, Guyton and surrounding Georgia cities.